LAS VEGAS, Nev. — Meritor introduced during Heavy-Duty Aftermarket Week new and updated products designed to improve safety and efficiency. 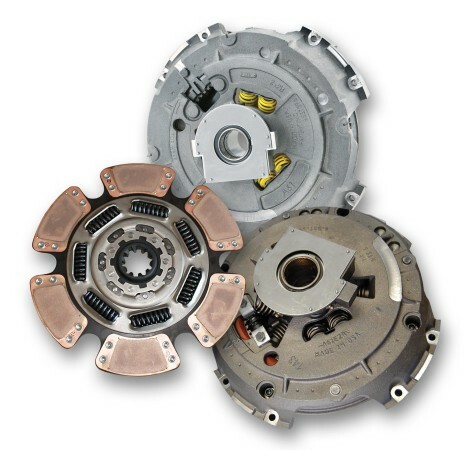 Among them was a new line of Meritor-branded aftermarket clutches. The new all-makes line includes both manual- and self-adjusting models covering medium- and heavy-duty applications. All interior components are new – not remanufactured – the company announced. The new clutches come with a one-year warranty, which also covers up to $800 in labour, something Meritor says is unmatched in the industry. “The addition of labour reimbursement as part of the standard warranty offering is a major advantage for customers,” said Jessica Barnhart, product manager, aftermarket with Meritor. The company also unveiled a new version of its PlatinumShield coating, designed to eliminate rustjacking. PlatinumShield III is available on new and remanufactured Meritor brake shoes. 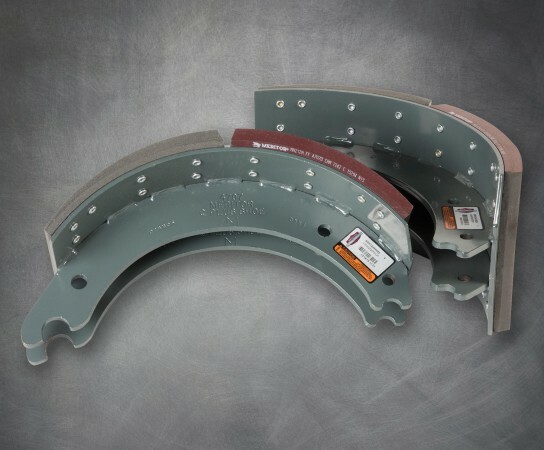 The new version of PlatinumShield features a refinement in the shoe preparation and coating process, the company says, which offers improved adhesion of the coating to the brake shoe’s metal surface. The new process also improves corrosion resistance, Meritor claims. 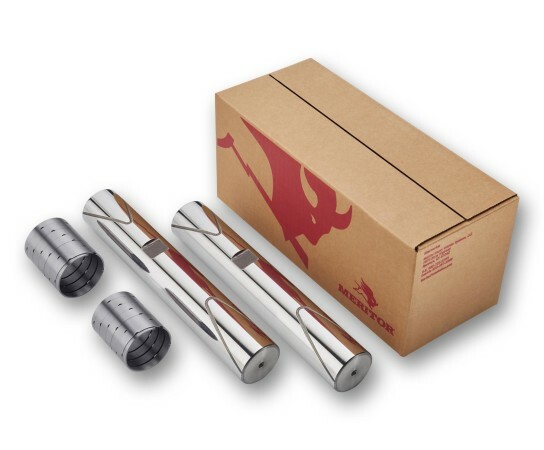 Meritor also came out with a new FastSet No-Ream King Pin Kit, allowing faster front axle repairs without reaming. “This new king pin offering meets an industry need for an economical, but high-quality, no-ream kit that will significantly reduce repair time,” said Pete Stow, senior manager, steering and suspension, aftermarket for Meritor. The kit eliminates the need for reamers, special tools and presses. King pin bushings don’t require reaming after they are installed into the steering knuckle, saving time and equipment costs. Meritor said the new kit also makes a king pin replacement an easier project to do in-house. 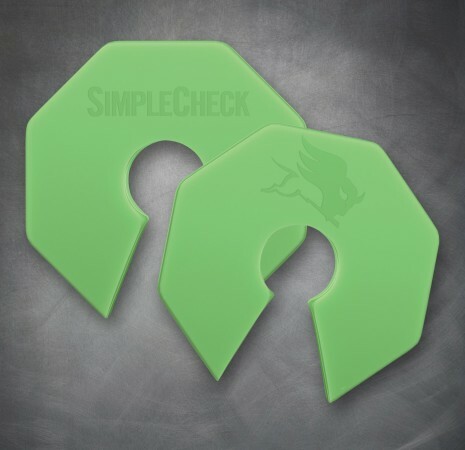 Meritor also introduced at HDAW a new SimpleCheck air brake stroke measurement tool. A neon green disc is placed on the pushrod against the brake chamber, providing an accurate marker for visual inspections of applied chamber stroke on cam brake-equipped vehicles. Drivers and technicians can more easily identify out-of-adjustment brakes, which are one of the 10 most common violations found during roadside inspections. The AllFit SimpleCheck is now standard with every Meritor automatic slack adjuster and also available for retrofit.